Can I use Outlook with G Suite Without Active Directory? 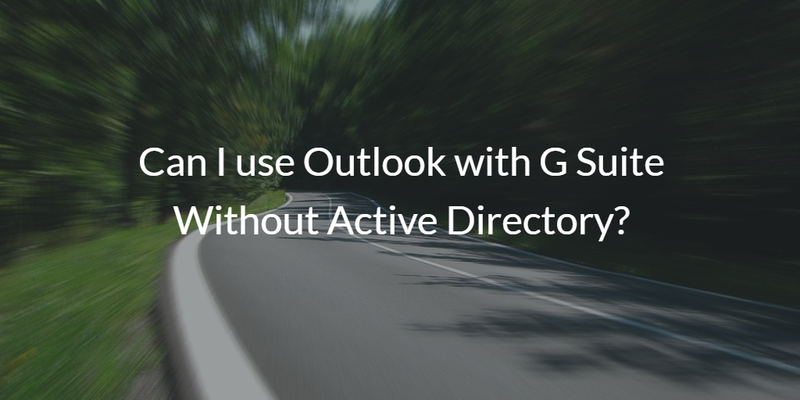 Home » Blog » Can I use Outlook with G Suite Without Active Directory? Microsoft Outlook is one of the most popular email clients in use. Integrated with the Microsoft Office suite, it has become a corporate standard. As many IT organizations move to G Suite, a question that is often asked is whether you can still use Outlook with G Suite. That question takes on more meaning for IT admins when they layer in that Microsoft Active Directory won’t be a part of the equation. Many IT organizations have replaced Active Directory or shifted away from an on-prem, legacy directory service. The good news here is that it is pretty simple to leverage Outlook as your email client instead of using Gmail. But the idea here is to still use G Suite as a replacement for the back-office functions of Microsoft solutions. Many IT organizations used to leverage Exchange and Active Directory as the back-end infrastructure to an organization. With the shift to the cloud, G Suite has replaced Exchange as the email server. Active Directory is not being replaced by G Suite directory, but rather the Directory-as-a-Service® solution. Google was smart by focusing on the back end and not worrying too much about the front end. G Suite does provide a web UI for G Suite. In the case of email, however, it will also connect with any SMTP and IMAP-based compliant email client, of which Outlook is the most popular. The confusion around this approach comes in with Active Directory. Many organizations have been reluctant to eliminate AD because of what they believe that it touches. But here’s the truth. Outlook and Office, in general, don’t really need to touch AD. While AD has been the user management platform for Windows-based systems and applications, it is controlling less of an organization’s IT environment with the move to the cloud. In fact, only one in five devices is Windows based now [Forbes]. AWS has shifted the data center from being on-prem and Windows to being in the cloud and Linux based. SaaS applications and WiFi authentication are also drawing attention to what AD can and cannot cover. 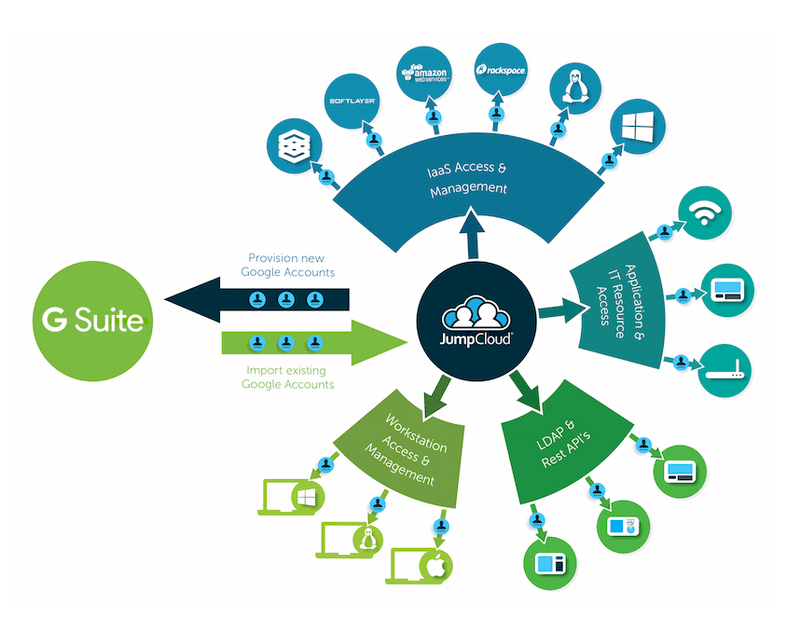 With Directory-as-a-Service, IT organizations can centrally manage user identities and connect them to the systems (Windows, Mac, Linux), applications (cloud or on-prem), and networks that they need to access. Whether the user leverages Outlook to connect to G Suite or the web UI, no Active Directory instance is needed anywhere. Directory-as-a-Service tightly integrates with G Suite to manage user identities and authenticate into a wide variety of resources. Drop us a note to learn more about how G Suite connects with Outlook without Active Directory. We’d be happy to walk you through how it all works. Alternatively, give our IDaaS platform a try for yourself. Your first 10 users are a free forever.